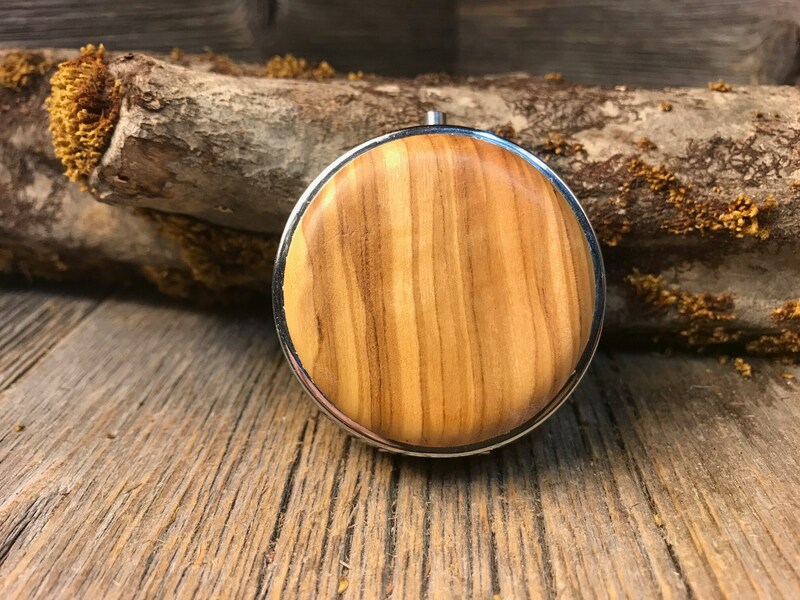 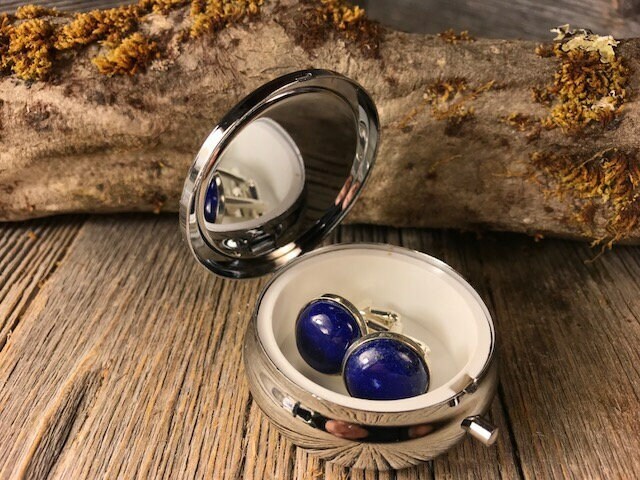 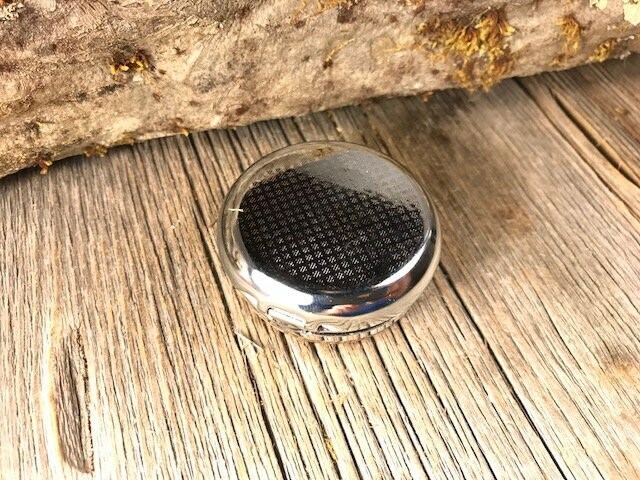 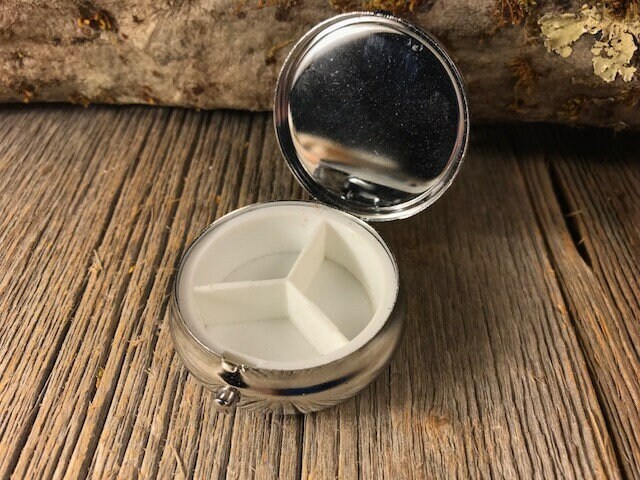 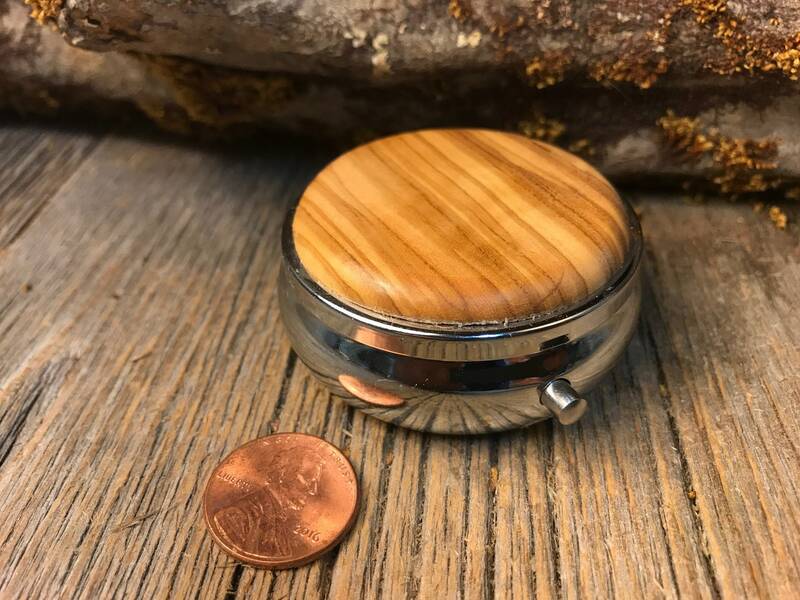 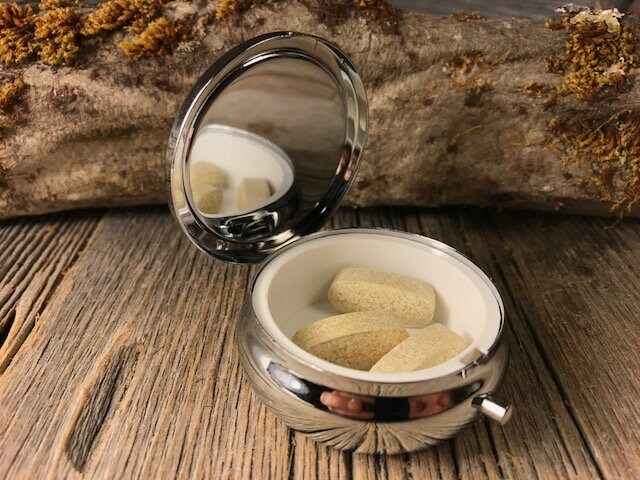 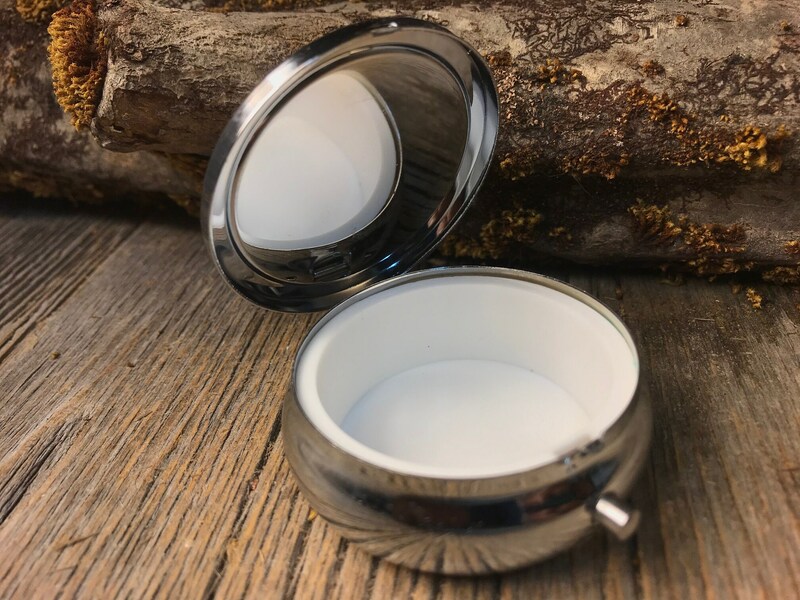 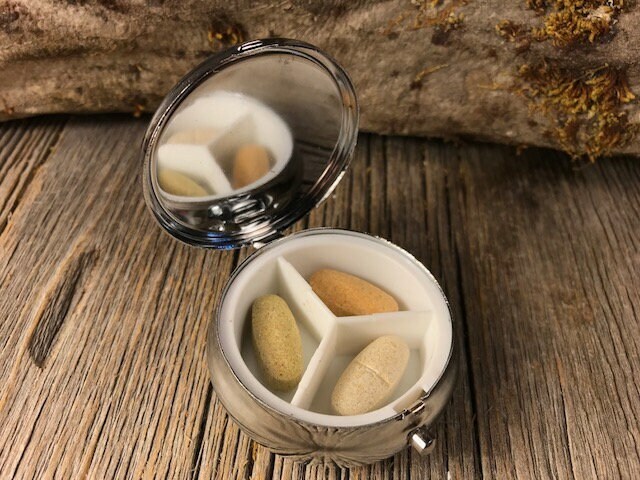 This simple and unique Pill/ Keepsake container features a gorgeous cut of AAAAA Gallery grade, Olive Wood, precisely inlayed onto a chromed steel case. 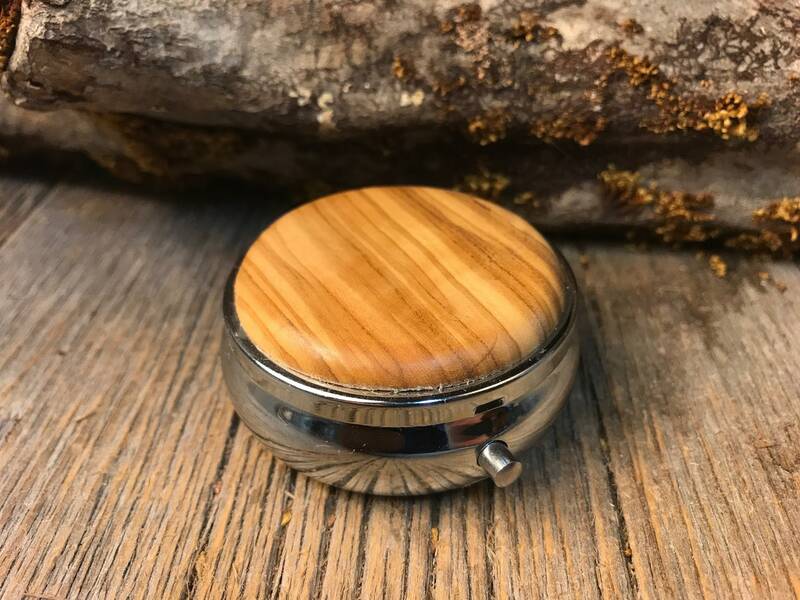 This Box is made from top quality Chromed Steel, and has an antiseptic plastic interior. 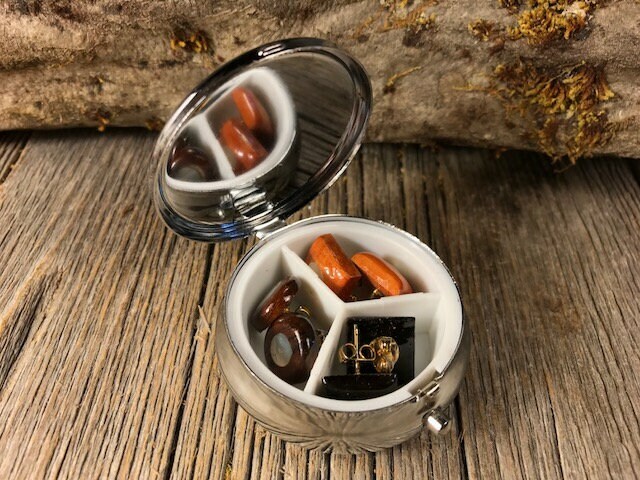 and comes in a 3 compartment or a 1 compartment version.